30 okt 2017 - Sinds de eerste wereldtentoonstelling de Great Exhibition in Londen (1851) werd georganiseerd door het Bureau International Expositions (BIE), maken deelnemende landen hiervan gebruik om hun innovaties en kwaliteiten te tonen. Wereldtentoonstellingen worden gekarakteriseerd door ongebreideld optimisme en City branding. Maar wereldtentoonstellingen en andere grootschalige evenementen, zoals Olympische Spelen, kunnen ook gebruikt worden om diverse problemen in een stad of regio aan te pakken. Bijvoorbeeld door de stedelijke infrastructuur te versterken of door een achtergebleven gebied te revitaliseren. Deze politieke doelstellingen en ambities vragen om zorgvuldige besluitvorming en een duidelijke strategie, aangezien een dergelijk evenement een unieke kans is maar met een lange termijn impact voor de stad. Het gebruik van het gebied na afloop van het evenement vraagt om een slimme strategie; een terugblik op de geschiedenis van mega-events toont dat dit in de meeste gevallen niet lukt. Zelfs niet in een centraal aangestuurd land als China. Dit artikel is alleen in het Engels beschikbaar. Since the first World Expo, the Great Exhibition of London in 1851 was organized by the Bureau International des Expositions (BIE); participating countries use these events to show their qualities and innovations. Universal Expositions are usually accompanied by a boundless optimism and used for branding a city. But Expo’s and similar large-scale events such as Olympics can also be used to address various problems in a city or region, for example to strengthen the urban infrastructure or to revitalize a rundown area. These political aims and ambitions need a carefully consideration and clear strategy since such an event is a unique opportunity but with long-term impact. Post-event usage of the venues and terrains demand a smart strategy, since the history of mega-events proves that in most cases this fails (1). Even in a centrally controlled country as China. In 1992 The Games worked out well for Barcelona, a classic sample where in particular the open urban space strongly benefited. Also in Lisbon (Expo 1998) it seems that there really is a new attractive district emerging as result. But in many other cases things went terribly wrong. Montreal (Summer 1976) needed two decades to earn back its debts. Also the World Exhibitions in New York (1964) and Hannover (2000) ended in financial fiascos. At the Olympics in Athens (2004) the investments disappeared and vast wastelands aroused. Greece was left with a lot of ‘white elephants’: oversized, disused buildings and grounds. The underlying problems are often a lack of city marketing (1). The impact of an event seems also to depend on the distribution of the venues. 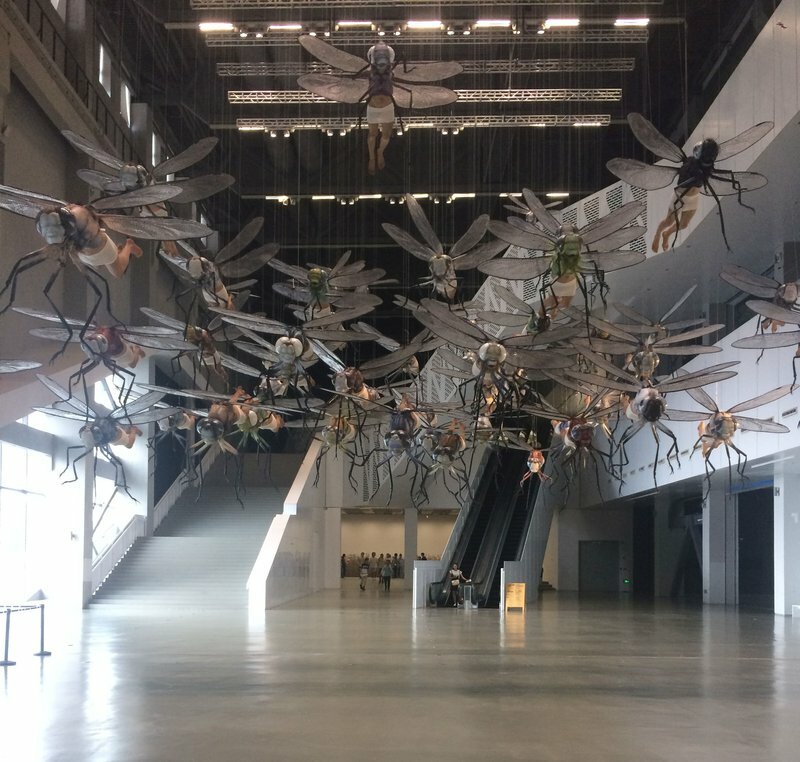 World Exhibitions are usually focused on one large-scale plot near the edge of a city, while venues of Olympic Games are usually spread out over a limited number of large sites. Since the success of Barcelona (1992) Olympic Games are seen as the instrument of choice to guide spatial development in specific directions. But according to Beijing’s planning authority, this booming metropolis didn’t need The Games to prove itself (2). To compete with other mega cities, the city was almost completely rebuilt to make room for a new wealthier middle class. Beijing’s Planning & Construction Department visited Barcelona but found it actually an incomparable case. So they went to Sydney. After the 2000 Olympics Sydney sat there with the unpleasant legacy of ‘white elephants’. In reaction on this Beijing made plans for post-Olympic reuse. In their strategy they engaged private investors in the development of the venues to ensure that no ‘white elephants’ would remain. The National Stadium by Herzog & de Meuron was developed in public-private partnership and operated by a market party afterwards. The National Swimming Pool was funded by donations from Chinese living abroad. During The Games only a part of the volume was used. Afterwards this Olympic icon was transformed into a commercial water amusement park with slides. Even the houses of the Olympic Village were sold expensively. Interesting is that Beijing has not seized the Games to showcase Chinese architectural talents. The choice for international architecture symbolizes the new China. The message is clear: China wants to show that they are modern and progressive and able to find connection with the international community. World Expo 2010 Shanghai: Better City, Better Life? Analogous to the renowned World’s Columbian Exposition in Chicago (1893) also this Expo in Shanghai wanted to interlude a new era: an era in which China will play a leading role. Since the late nineties, a committee of experts studied the possibilities for an Expo in Shanghai. The ambition was to surpass the success of the well-attended Expo in Osaka (1970). The choice to take urbanization as theme, determined the BIE to choose for Shanghai. When the reforms started in 1978 only 19% of the Chinese lived in cities. In early 2011, more than half of all Chinese lived in urban areas. Contemporary China faces simultaneously the problems of industrial developed countries as well as the problems of a third world country. All possible problems that a city can have are combined here, and still there remains a continued desire to urbanize further rapidly the next decade, mainly for economic reasons. The theme “Better City, Better Life” has been seized to show how the city of the future should be shaped. By choosing a central urban location a strong statement was made to promote urban densification in opposition to the ‘suburban sprawl’ that plagues many western cities. The location was a formerly polluted harbor area with shipyards and heavy industries. Because the market wouldn’t choose this highly polluted area for development quickly the Expo was a sophisticated chance to reconnect the city with the water. To reduce car-use the city invested heavily in the accelerated construction of new subway lines. Besides this the legacy consists of several new bridges, and Hongqiao Airport underwent a major jump in scale. Additionally more than ten kilometers of new public riverside has been created. Shanghai showed that it is able to play an important role on the world stage. On 31 October 2010, the closing day of the event, Secretary-General of the United Nations Ban Ki-moon called to annually commemorate this day as “World Better Cities Day”. The 5.28-square-kilometer Expo area on both sides of the river was created after removing 300 companies and more than 25,000 families to areas in the outskirts. Although residents were given replacement housing and a generous financial compensation they had no other choice. 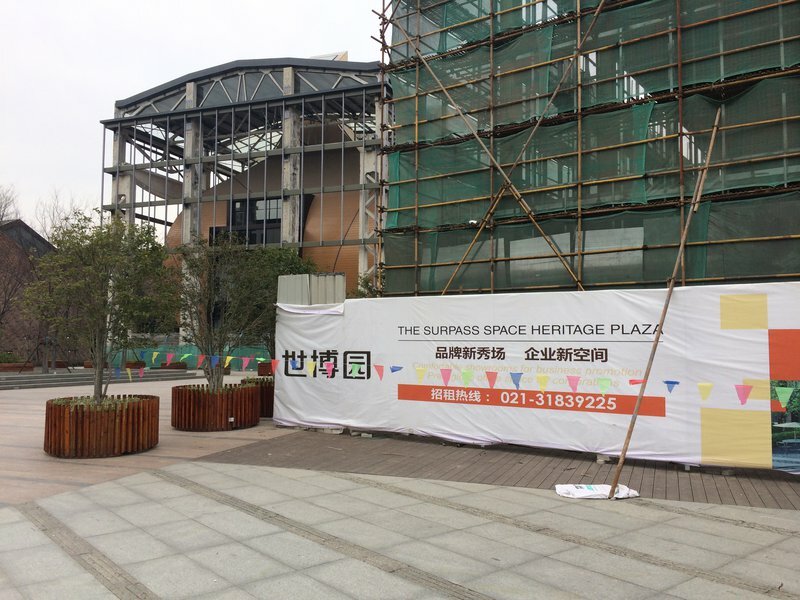 The plans to reuse the Expo site are ambitious. However, due to unfavorable real estate prices the site has not yet been taken in redevelopment. The central park is framed by walls and hardly accessible. 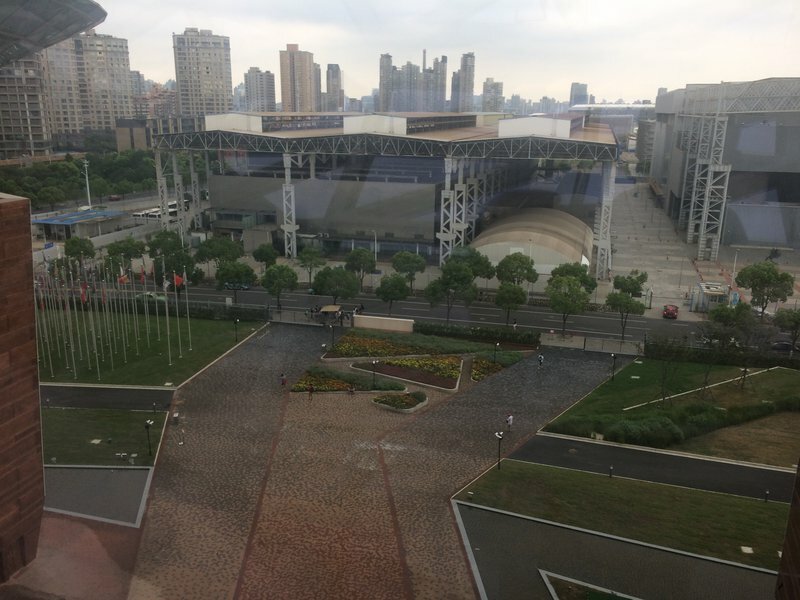 Also the Expo Village, built to house some 10,000 officials and journalists during the event is still mainly empty since the closing day, on a prime location at the riverside! Even the so-called Urban Best Practice Area, supposed to be transformed into a “creative cluster”, is mainly deserted, although since last year a regeneration process started and several new restaurants and coffeehouses opened their doors here, though without many visitors which is worrisome on such a prime location. One positive exemption is the Power Station of Art, a former power plant that houses one of China’s most avant-garde museums. Most other buildings are already demolished, and on the south bank of the river a high-density quadrant of office towers appeared since more than a year ago, though still without many users. So, more than 7 years after the event the promises are not yet fully realized and it seems that this will not change soon due to problems with land properties (partly navy owned) and fluctuating property prices. More than five square kilometers of emptiness in the middle of Shanghai obviously doesn’t contribute to a ‘better city’. Meanwhile on the surrounding countryside huge amounts of residential and commercial buildings are sprawling. Nevertheless this does not mean that Shanghai’s miraculous investment in a good public transport system is a very positive sample for other megacities. The Expo 2010 played an important role in this. In Shanghai, where before 1995 no metro drove, today a highly advanced network surpasses London and Tokyo. Also the riverbanks are currently under redevelopment with additional attractive public spaces, as a spin-off of Expo, but still fragmented and limited accessible for the time being. Urbanization is often accompanied by formalization. 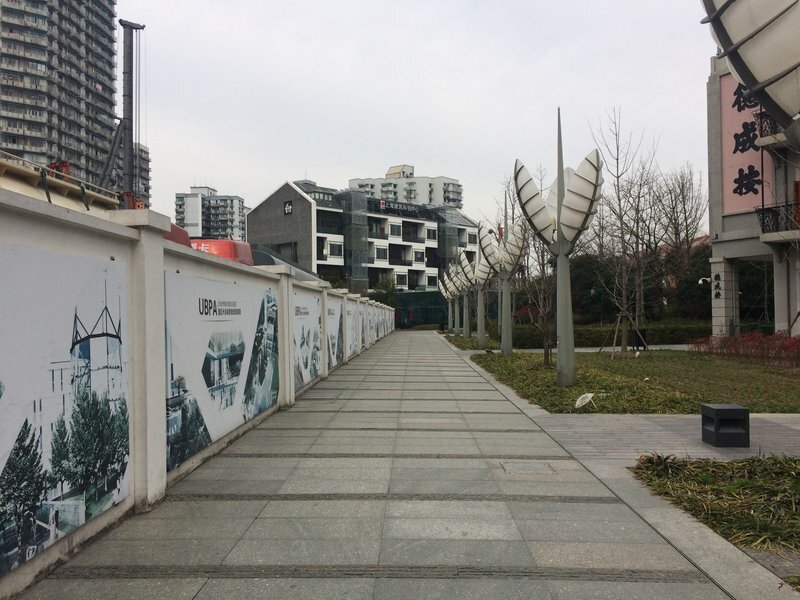 In Beijing and Shanghai, respectively, during the preparations for the Olympics and the Expo, a lot of informality has disappeared from the streets, with negative impact on the lively urbanity, and a decrease of local identity for the city. Hanging the laundry outside is more durable than using a dryer. It also gives charm to the scene. The city council thought otherwise. Similarly, many traditional and informal street activities became under ban, a process that is continuing until today. Because both cities wanted to show the world to be “civilized” and modern, according to the then (and now) local government, there was (and is) no place for informality. Through media campaigns, new urbanites were ‘learned’ how one should behave. Even the Shanghainese tradition of wearing pajama’s on the street was temporary banned. Other mega events in Chinese cities show similar tendencies. 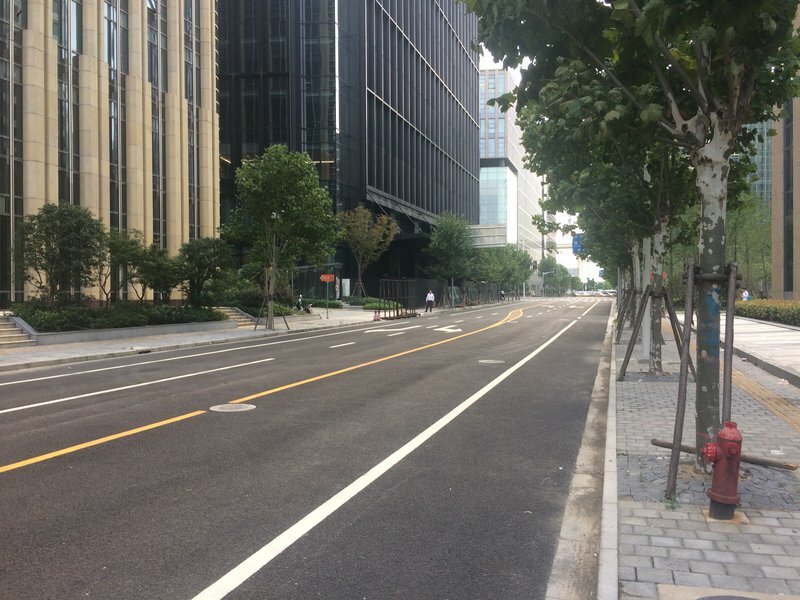 Especially during hosting the G20 in Hangzhou (Zhejiang), urban life became formalized and controlled during the event itself, but also with some consequences for the post-event phase. In Guangzhou (Guangdong) the 2010 Asian Games played a major role in creating a new CBD core area for the city. Also in Hangzhou (Zhejiang) the 2022 edition of the Asian Games will play a similar role. The recent trend however is that many CBD’s are running empty and big companies like Alibaba (China’s leading e-commerce company) choose suburban locations for their headquarters. Obviously hosting a mega-event is very good for a city as a brand. But for the continuous vitality of the host city in the post-event phase it requires thorough planning and long-term consideration. This is often missing with a range off consequences, economically, but also consequences for the daily life of its citizens. In the race towards modernization especially Chinese cities, which exceed in scale and development speed, need urgently more thorough and resilient planning principles to be able to sustain on the long run. Otherwise the short-term success of a mega event could easily result in future urban headaches. Van Vrijaldenhoven, Tim (2007) Reaching Beyond the Gold. Rotterdam: 010 Publishers. Interview by Harry den Hartog with local planning officials involved in the master plan for Expo 2010 Shanghai, in: de Architect, May 2010. ArchiNed also made a short video about Shanghai’s World Expo 2010, which can be seen here.